LPG gas bottle sizes are 45kg, 90kg & 210kg. Please see illustrated home LPG gas bottles sizes chart, dimensions, weights & capacities. New customers get bonus LPG gas cylinder credits. LPG gas bottles are typically steel vessels for storing the common LPG gases, propane or butane. Homes and small businesses typically use 45kg LPG gas bottles, the larger 90kg or 210kg LPG gas bottle sizes. BBQ LPG gas bottles come in 9kg and 4kg gas bottle sizes. LPG (propane) gas bottles may also be called “Propane Gas Bottles”, "LPG Bottle", "LPG Gas Cylinders" or just "Gas Bottle". LPG gas cylinders contain liquid and gas, as LPG - Liquefied Petroleum Gas - liquefies under relatively low pressure. An LPG gas bottle is considered low pressure versus high pressure cylinders, as used with CNG. LPG gas bottle sizes vary, based on application and demand. A small LPG gas bottle is portable, as used in camping. 45kg LPG gas bottle dimensions are shown below, along with 90kg LPG gas bottles and 210kg LPG gas bottle sizes. Copyright © 2013 Elgas Ltd.
LPG gas bottle sizes, dimensions and weights shown are approximate. Actual dimensions may vary. Propane Bottle Sizes vary by manufacturer. 45kg LPG gas bottle dimensions include a height of approximately 1250mm, a width of 375mm and a capacity of 88 litres. 45kg LPG gas bottle sizes – also called 45kg gas cylinders – are the most popular size LPG gas bottles for homes and small businesses. 45kg gas bottles can be exchanged or refilled onsite via LPG tanker trucks. A typical installation is comprised of two 45kg gas bottles, so you can switch bottles while awaiting an exchange or refill of the empty. 9kg domestic LPG gas bottle dimensions are approximately 315mm in diameter, 475mm in height and 17.64L of capacity. The largest domestic LPG gas bottles dimensions are for 210kg at about 765mm in diameter, 1460mm in height and 411L of capacity. Propane bottle sizes incorporate domestic LPG cylinder dimensions including the 45kg propane bottle (Height: 1250mm; Diameter: 375mm; Capacity: 88 Litres), as well as 90kg propane bottle and 210kg propane bottle sizes. Domestic LPG cylinder dimensions are the same for propane bottle sizes and LPG bottles sizes, as they are the same gases. Propane is also called LPG, as is butane. So, propane bottle sizes are the same as LPG bottle sizes. The various propane bottle sizes exist because different people used different amounts of gas and the propane bottle sizes are selected accordingly. 45kg LPG gas bottle sizes are the most common size for home use. A typical installation has two 45kg LPG gas bottles. This is the size used for our Home Gas Bottle Exchange Service. They are also used with our Automatic Tanker Delivery Service. Gas bottle sizes shown are approximate. Actual dimensions may vary. 90 kg gas bottle sizes are the second most common size for home use. This size is commonly used with our Automatic Tanker Delivery Service. A typical installation has one 90kg LPG gas bottle. 90 kg is also used with our Underground LPG Storage System. 210 kg LPG gas bottle sizes are provided for high volume use. Larger storage vessels are also available, when needed. Filling is via our Automatic Tanker Delivery Service. *See Welcome Package T&Cs for full details. I am sure you probably get less compliments than you deserve, so I just wanted to write to say thank you to 'Dean T' who delivers our gas (at least he has been out a couple of times that I know of). He is absolutely charming - smiling, helpful, courteous, and obviously has a real pride in what he does as he was smartly dressed in his high vis and his truck was immaculately clean. He is respectful of our dogs (three great danes) and does the job efficiently and professionally. I was really impressed. Please pass on a well done to him - he is a credit to your organisation. Hi Just wanted to say how lovely it was to deal with the gas delivery guy today. He couldn't have been more helpful and accommodating. Nothing was a problem. Good on him for taking pride in his job and giving good old fashioned customer service. What a nice bloke! Hey just wanted to let you all know how impressed we have been with the driver you have who does our area in the Central West. Wayne has always been REALLY helpful and when we had floods at the end of last year he completely saved us with his gas deliveries. Above and beyond the call of duty etc. It is a pleasure dealing with Wayne for all our delivery needs! 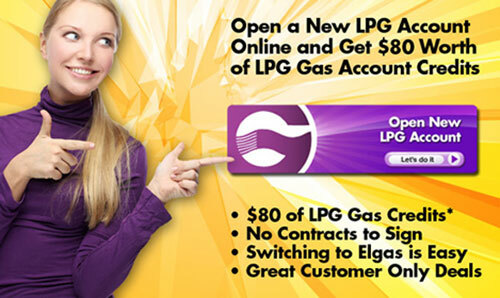 Order Your LPG in One Second! Now you can order your LPG with just one click. It’s a convenient easy-to-use app and it’s FREE from the Apple or Google Play Stores. Welcome Package is automatically applied to your account when you signup online. $80 of credits are applied at $10 per 45kg exchange cylinder or $10 per tanker refill. Welcome Package is available in areas serviced by company branches and agents, so available in most areas. Not available in areas serviced by distributors. Get My Free E-Book Now!